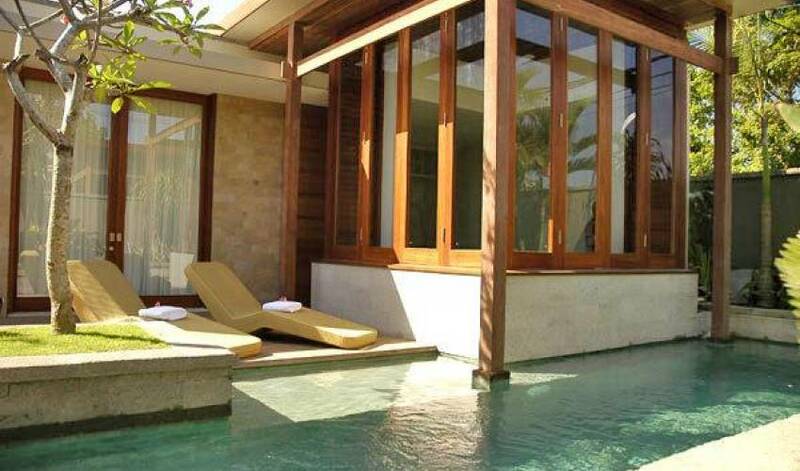 A spa villa resort in Bali. 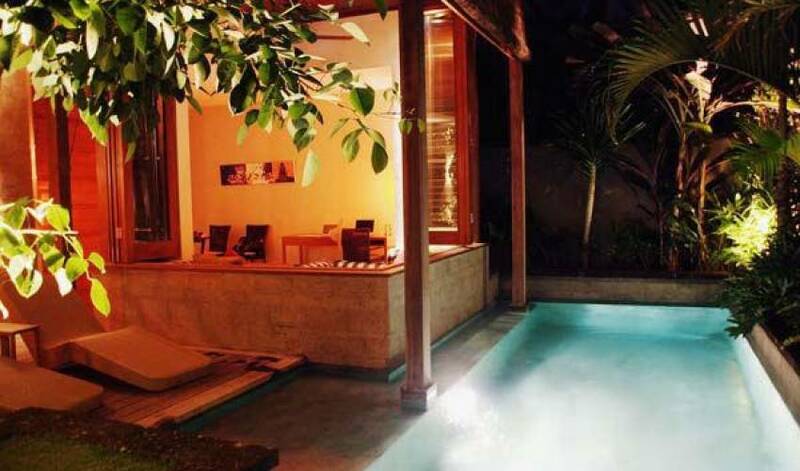 Twenty six private pool villas with full hotel / resort facilities in the heart of Seminyak, Bali’s most fashionable neighborhood a stones throw from white sand beaches, restaurants, shopping and nightlife. 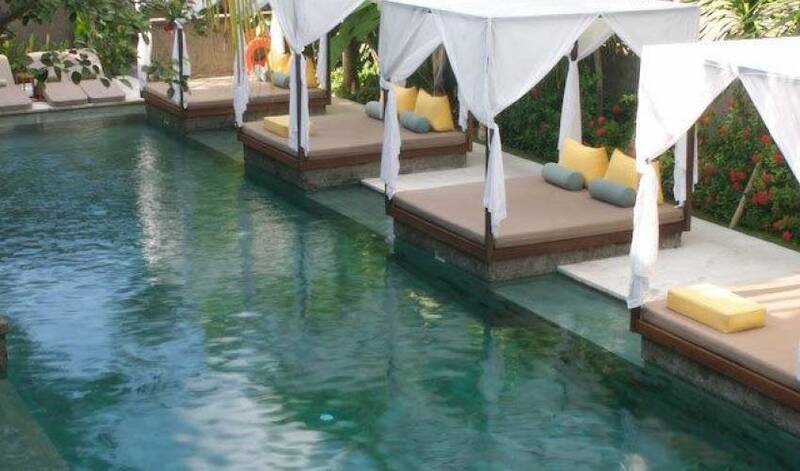 Our aim is to focus on the “experience of staying” in Bali whether it’s making a reservation, spoiling yourself in the spa, enjoying a sunset drink at the bar, borrowing a pre loaded Ipod or simply relaxing in your villa in Bali we want the experience to be positive, pleasurable and special. Our resort hotel features 26 villas each within its own private garden with 8 x 3 meter pool, sundeck, double bedroom & living space. 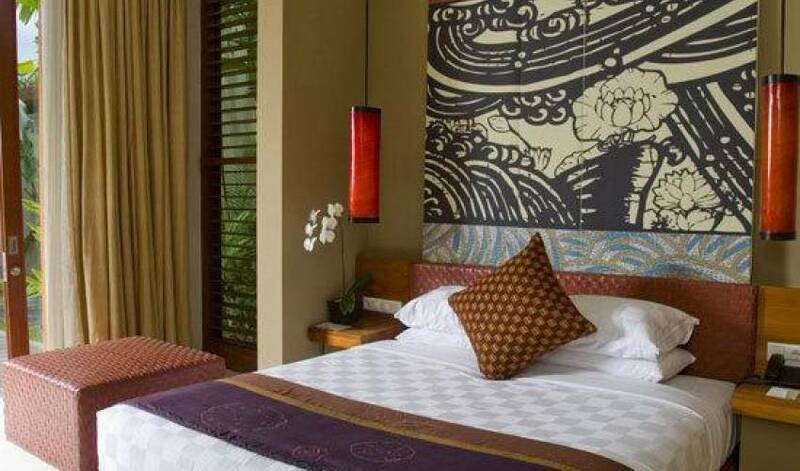 Sleep on the finest King Koil mattresses and soft cotton sheets, soak or shower in an oversized sunken tub, laze on a day bed, enjoy private dining in the lounge or sunbathe and swim all in the comfort of your own holiday villa in Bali. Each villa also features broadband internet connection, 40 channel cable television, DVD/VCD/CD player, Preloaded Ipod Nano on request & Bose sound dock, IDD telephone, pantry mini bar, safe, and can be enjoyed open and fan cooled or enclosed and air conditioned. Rush-Bamboo poolside café and bar overlooking the main pool & Balinese temple are cool, comfortable spaces ideal for enjoying long leisurely meals, a snooze in a linen draped bale, afternoon tea or an evening cocktail with friends. Menu’s emphasize the use of the freshest available local organic and air flown ingredients simply prepared and presented. Rush – bamboo is open all day for breakfast, lunch and dinner, in addition a 24 hour in villa dining menu is also available. 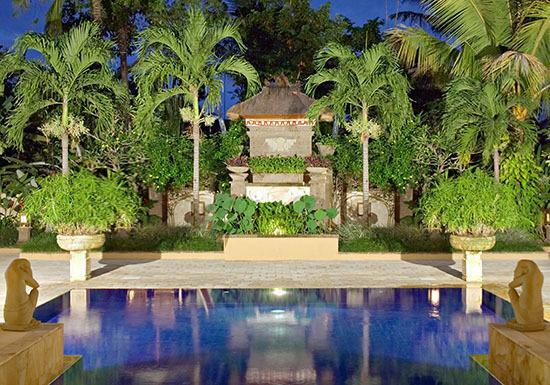 The location of the spa resort is also ideal for guests wishing to enjoy some of the most popular restaurants in Bali including Ku De Ta, La Lucciola, The Living Room, Warisan, Made's Warung, Hu'u bar and a host of other options for dining in Bali. 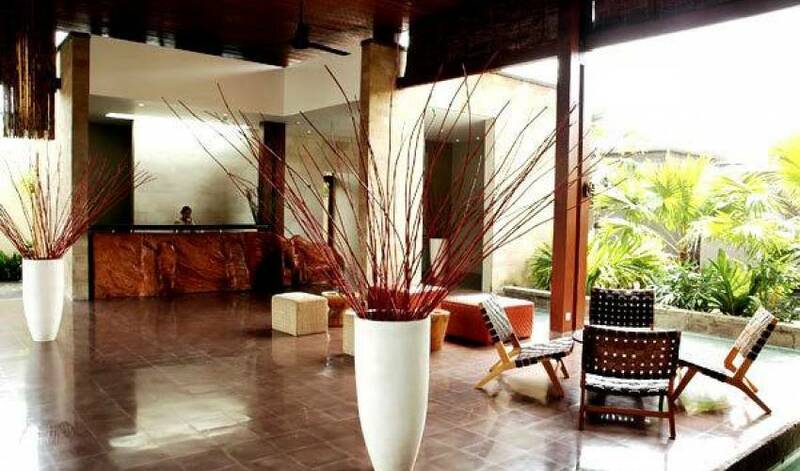 The spa is a place to regain your inner balance, pamper calm and nurture. Our range of treatments has been specially created to address the pressures of today’s lifestyle, the combination of traditional Bali Spa techniques, natural products and the peaceful nature of our Balinese therapists will help you shed your stress and heal. We offer a full range of traditional Balinese massage and spa treatments as well as manicure, pedicure, facials, scrubs, wraps and baths. Spa menus and detox herbal teas are also offered. 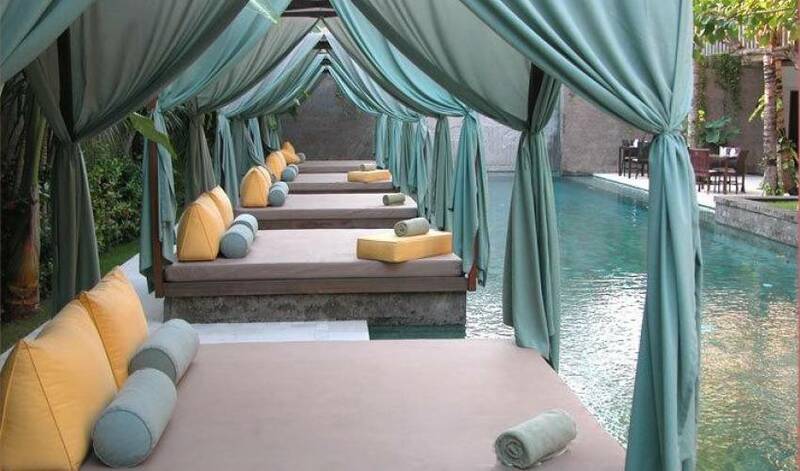 Our spa can also arrange for Yoga in Bali and aqua therapy treatments by appointment for your complete wellness in Bali. 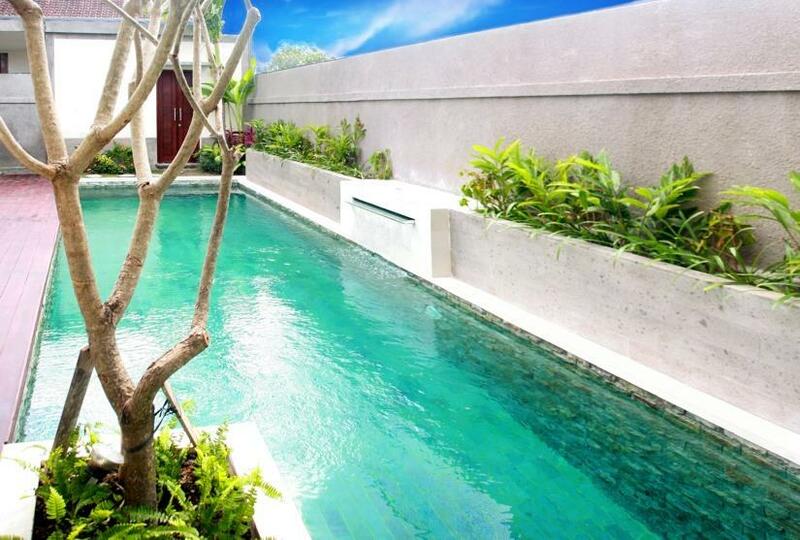 The Library can be reserved for private meetings in Bali or private dining for groups of up to 12 people. We can arrange for projectors, screens, white boards and other equipment as required and will tailor our service to meet your requirements. We can also arrange separate programs such as shopping or golf for spouses or partners. Weddings in Bali and private cocktail parties are also welcome and our guest experience manager will be happy to assist in planning your event to ensure it meets your expectations. We work with a number of wedding planners in Bali who can take care of all the necessary wedding ceremony arrangements if required. The location provides easy access to the beach and the colorful shopping, restaurants and nightlife that epitomize the surrounding neighborhoods. 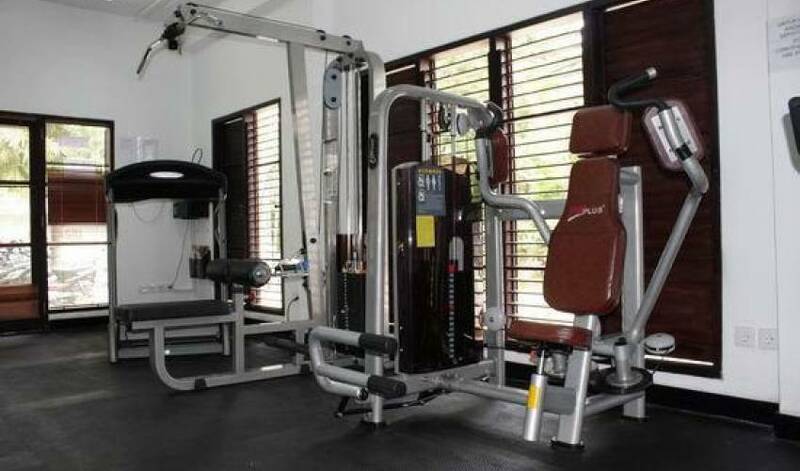 Within 5 minutes walk, one can find such landmarks as the Ku dé Ta restaurant, Legian Street and Seminyak beach.